Will There Be a Grand Theft Auto First-Person Shooter? For your typical Western game developer, first-person shooters are bread and butter. Rockstar Games is not your typical Western game developer. "We're deliberately avoiding that right now," Rockstar co-founder Dan Houser told Japanese game magazine Famitsu. "It's in our DNA to avoid doing what other companies are doing." So, while other companies were making FPS games, Rockstar was not. Of course, Rockstar's games, such as the upcoming Max Payne 3, incorporate shooting, but not necessarily of the first-person variety. 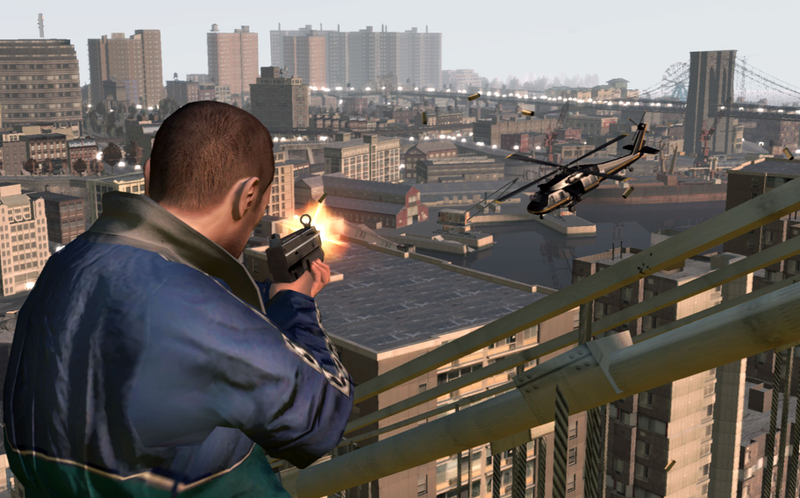 Grand Theft Auto also uses third-person shooter elements. "I suppose you could say that Max Payne 3 is something close to an FPS, but there are really unique aspects to the setting and gameplay there, too, not just in the story," Houser said. "You have to have originality in your games; you have to have some kind of interesting message." Part of what makes that message so interesting is the vivid lead characters Rockstar creations. That might be lost if the games were FPS titles.